pet food, pet meds, pet accessories, pet STUFF!! We're not currently writing any new blogs but we have years of weekly blogs from the past just waiting for YOUR EYEBALLS, so take a look! Most people have probably heard of litter training cats (duh!) and, to a lesser extent, dogs. Shoot... there’s even videos of cats and dogs using a human commode and flushing the toilet (just check out YouTube – really fascinating stuff!). And rabbits, while certainly destined to face many physical challenges in doing their business on a human commode, are indeed capable of being litter trained. That’s great news if you own a rabbit and thought she might make a mess of the entire house. To get your little thumper litter trained will take a bit of work (certainly not as much work as is required to train a dog or a cat to use the commode!) and you’ll basically be working with and shaping her natural tendancy to toilet in one area. To get started, place a litter tray in her enclosure (if a standard cat litter tray is too large or if you have a dwarf bunny, a pyrex baking dish will do) in the area where she most commonly does her business (generally in one corner of the cage). If she tends to do her business in more than one area or corner, by all means, make available another litter tray. The idea is that you work with where she’s already determined her toileting spot to be. But before you go placing litter trays all willy-nilly about her crate or hutch, you’ll need to decide what material to use to line the litter tray. One option you may be inclined to use is cat litter but becasue your bunny will be spending a fair amount of time in her litter tray (and probably take a niblbe or three on whatever’s in the tray) you’ll want to provide her with something non-toxic. So an alternative option is to line the tray with newspaper, which absorbs the urine, topped with hay as she’ll be eating that anyway (bunnies like to poop and eat at the same time). The downside is that you’ll need to clean the tray fairly regularly - a daily spot-cleaning is best, and a weekly deep-cleaning of the litter tray will help to reduce odors (bunny urine is quite odoriferous), so a good soak in a mix of white vinegar diluted with some water should do the trick. 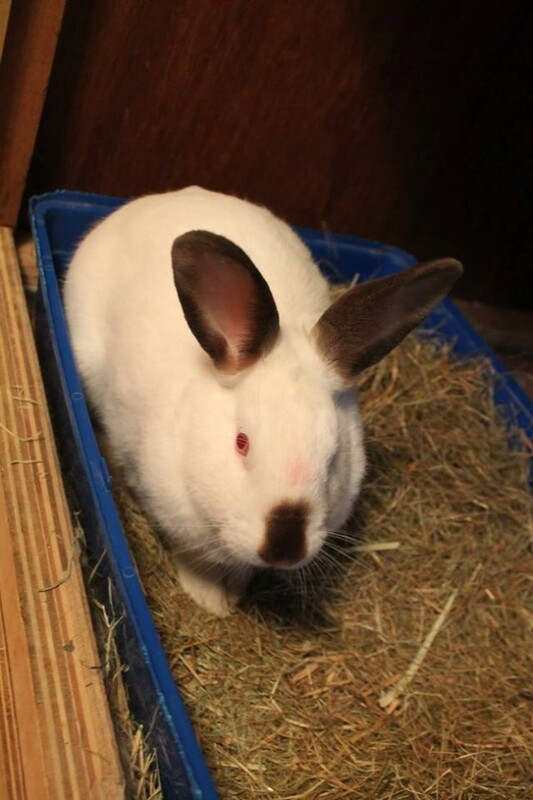 Lastly, it’s a good idea to keep in mind that the older your rabbit and/or if she/he is spayed/neutered, the easier your task will be, at least according to an article on My House Rabbit.com. Fixed rabbits, Dubai bunny owners may not know, will not be motivated to mark their territory and mature rabbits are simply easier to train as their attention spans are longer than that of younger rabbits. Oh, and if you DO train your rabbit to use the commode, be certain to share the video! Previous topic Toilet Training Puppies!!! Next topic Preparing Cats for A Baby! Animal Care. Animal Relocations. By Animal People. Animals do Believe it. too. Believe it. Read and write reviews of DKC. Tell us how you REALLY feel ! The Good. The Bad. The Ugly.